Easy to assemble and approved by England Basketball, the Sure Shot 700ACR Little Shot system is a great choice for future basketball stars and can be used both indoors and outdoors. It helps your little one to learn basic basketball skills and have excellent fun with friends and family and offers a solid acrylic backboard measuring 24" x 17" (60 x 43cm), as well as a sturdy steel pole and a 13.5" (34cm) steel ring with a matching nylon net. The system weighs 15kg (33lbs) and ensures easy height adjustment (1.2 to 1.8m). 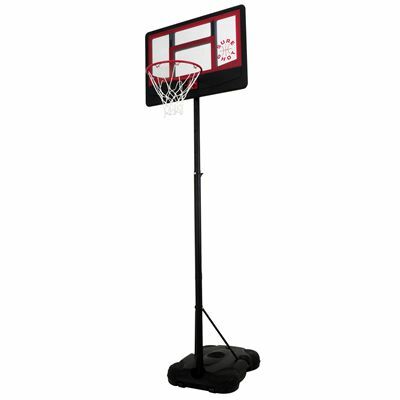 Additionally, it is designed for use with size 3 or 5 basketballs. for submitting product information about Sure Shot 700ACR Little Shot Basketball System We aim to answer all questions within 2-3 days. for submitting product information about Sure Shot 700ACR Little Shot Basketball System. We aim to answer all questions within 2-3 days. If you provided your name and email address, we will email you as soon as the answer is published. for submitting product review about Sure Shot 700ACR Little Shot Basketball System.